Culiacán (Mexico) (AFP) - He has lost weight in his New York jail cell, and some of his larger-than-life aura, but Joaquin "El Chapo" Guzman still looms large over Mexico's Sinaloa, where he launched his narcotics empire. With his head and trademark mustache shaved, held in solitary confinement 23 hours a day when he is not in court, Guzman is a far cry from the brazen billionaire capo whose Sinaloa cartel brought this lawless western state to world fame. But even as he goes on trial Tuesday in US federal court, charged with smuggling 155 tons of cocaine into the United States, "El Chapo" remains a constant presence on the streets of Sinaloa's capital, Culiacan, where he was feared and beloved in equal measure during his days as the world's most-wanted drug lord. Street vendors still sell figurines of a gun-toting Guzman, and hats stamped with the number 701 -- the spot he once held on Forbes magazine's list of the world's richest people, with an estimated fortune of $1 billion. There is an avid fan base here for the different movies and television series inspired by his life, surely one of the most colorful to come from this region known for its outlaws. Guzman, 61 -- whose nickname means "Shorty" -- grew up dirt-poor in the town of Badiraguato, where he sold fruit on the street as a boy and started growing marijuana and opium poppies at age 15. Recruited into the powerful Guadalajara cartel, he then struck out on his own, eventually turning his home-grown cartel into a multi-billion-dollar empire with ruthless efficiency. Later came his two audacious jailbreaks -- once in a laundry cart, in 2001, and once through a tunnel outfitted with a motorcycle on rails, in 2015. Less legendary -- though still laced with a hint of Hollywood glamor -- was the humiliation of being recaptured, six months later, after the Mexican authorities picked up his trail when he gave an interview to the actor Sean Penn that was published in Rolling Stone magazine. "El Chapo was a media star. He had a theatrical streak, and that put the spotlight on him even more," says Tomas Guevara, a sociologist at the University of Sinaloa. Guzman may be behind bars, but the Sinaloa cartel remains a massive business, now led by his right-hand man, Ismael "El Mayo" Zambada. 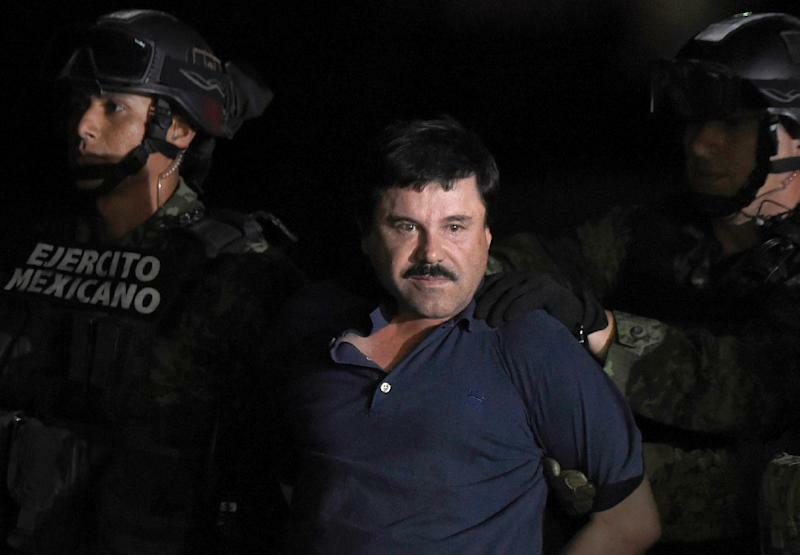 "The capture and extradition of 'Chapo' Guzman was largely symbolic," says Mike Vigil, former head of international operations and the US Drug Enforcement Administration. Sinaloa is home to some of Mexico's most famous drug barons, including the men who dominated the game in the 1980s, Ernesto Fonseca and Rafael Caro Quintero. 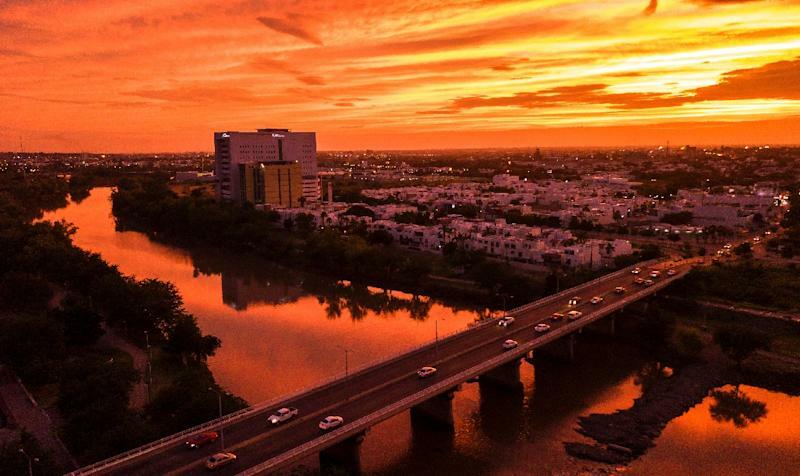 That has given rise to a local "narco culture," visible in the ballads that local musicians dedicate to drug traffickers and the fashion sense sometimes found on the streets of Culiacan, a unique blend of Country Western and bling. It is also visible in the Jardines de Humaya cemetery, where late kingpins repose in luxurious tombs outfitted with bullet-proof glass, soaring domes and air-conditioning. Nearby, there is a chapel dedicated to Jesus Malverde, the so-called "narco saint" -- a folk hero who, according to legend, stole from the rich to give to the poor in early 20th-century Sinaloa. Malverde is not an actual Catholic saint, but that does not stop his followers from packing the chapel, whose walls are covered with dollar bills and messages of prayer and thanks. Guadalupe Bustamente, 35, started coming when she was diagnosed with cancer, and says she is sure she will be blessed, narco-style. "I imagine (drug traffickers') faith must be great indeed, because it's gotten them through very big, serious problems. Matters of life and death, because that's the reality here," she says, before kneeling to pray. Others in Sinaloa are more reluctant to talk about the role drug trafficking plays in the region. But it is a large one, according to those who have studied it. "The narcos' original idea -- and this is how they won people's hearts -- is that they built roads to the villages, installed electricity, gave them money to build a church," says Guevara. "They did the things the state was supposed to do and didn't." More recently, their role driving the economy can be seen in things like the giant Barbie-themed birthday bash Guzman's beauty-queen wife threw for their twin seven-year-old daughters in September. But the legacy has been a bloody one, too. More than 200,000 people have been murdered in Mexico in just over a decade, in violence fueled by cartel turf wars and battles with the authorities. Another 37,000 are missing. Maria Isabel Cruz is one of those who has felt the impact. Her son, a Culiacan policeman, went missing last year. She now leads a group of some 100 women with similar stories who comb the countryside, looking for the mass graves where cartel hitmen bury their victims. "Here in Sinaloa, everyone keeps quiet" about drug trafficking, she says. "Nobody dares to raise their voice. Nobody dares to scream about it, like I have."